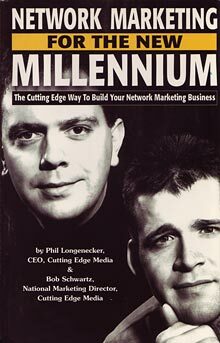 Phil Longenecker, CEO, Cutting Edge Media, and Bob Schwartz, former National Marketing Director of CEM, created this book to help home-business owners and entrepreneurs run successful businesses in the 21st Century. 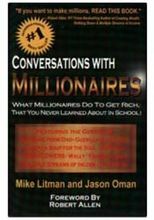 Knowing and acting on the information in this book has already transformed many network marketers' careers and lives. Phil and Bob directly address the #1 reason for failure in the network marketing industry--lack of interested prospects. Simply put, your success is dependent upon gaining a steady flow of interested prospects and customers, then showing your team members how to do the same. And that's exactly what "Network Marketing For The New Millenium" teaches! 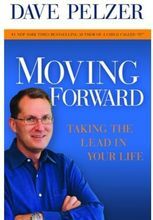 Knowing and acting on the information in this book has already transformed many network marketers' careers and lives. Phil and Bob directly address the #1 reason for failure in the network marketing industry--lack of interested prospects. Simply put, your success is dependent upon gaining a steady flow of interested prospects and customers, then showing your team members how to do the same. And that's exactly what "Network Marketing For The New Millenium" teaches!